Performed by: Sammy Davis Jr.
No, no, don’t do it. 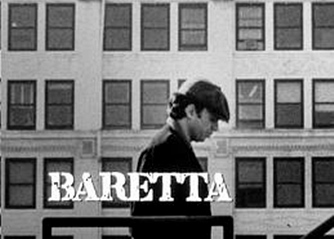 Baretta had some help on cases by Rooster (Michael D. Roberts) a street pimp and frequent informer and from a retired NYPD officer Billy Truman (Tom Ewell) who worked with Baretta’s father. 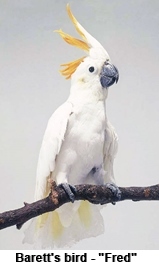 Truman managed the run down hotel where Baretta lived with his pet cockatoo, Fred. 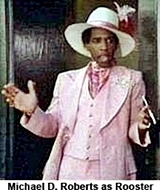 He had quite a few colorful sayings one of his favorites was “Don’t do the crime if you can’t do the time”. Others included “And dat‘s the name of dat tune” and “You can take dat to da bank”. 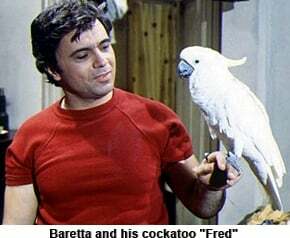 Baretta was not an original show. It was actually a continuation of the police show Toma, starring Tony Musante. 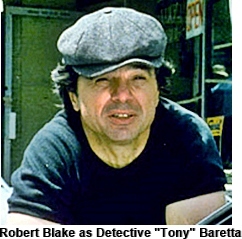 Musante quit after the first year and the studio wanted Robert Blake to replace him. 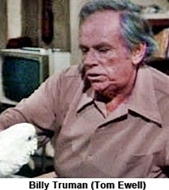 Blake however didn’t feel comfortable stepping into Musante rather popular shoes so he convinced the studio to slightly retool the show calling it Baretta instead.